An introduction to the ‘mammal-like reptiles’ that walked the Earth millions of years before the dinosaurs – and from which all modern-day mammals would eventually evolve. Early reptiles split into two evolutionary branches: sauropsids, or "true reptiles", and synapsids, or "mammal-like reptiles". Dimetrodon and other sail-backed synapsids could maintain a steady body temperature by controlling blood flow to their sails. Mammals evolved from a group of synapsids called the therapsids. While most mammals evolved to give birth to live young, some continue to lay eggs. 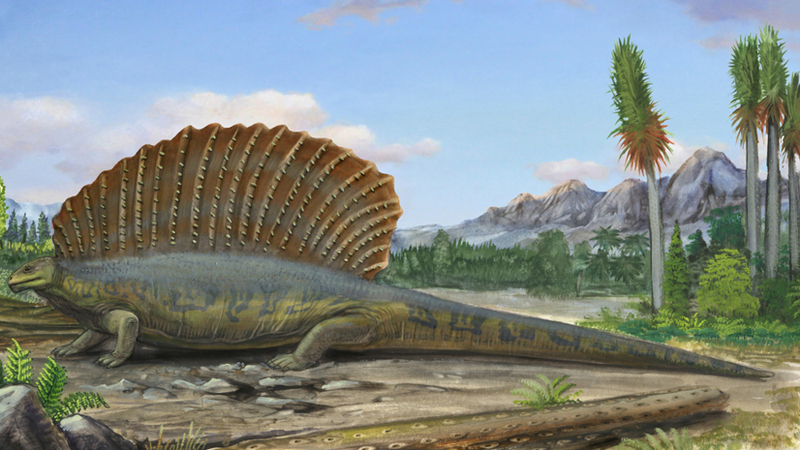 This is Dimetrodon – a fearsome predator that walked the Earth millions of years before the first dinosaurs. Despite its appearance, its closest living relatives aren’t lizards, crocodiles or other reptiles but mammals.